Trek Marlin is a bike model designed for mountaineers and trail riders. If you are looking for a stylish, fast and high-performing bike for outdoor adventures, this model will do quite well. This model is also recommended for beginner cyclists. Trek Marlin bikes are a sight to see. They are eye-catching stylish, like a bike version of the iPhone. Also, this model is known for its pedigree of high performance, as they are based on respected XC bikes. We were quite thrilled to review this model at last. Riding this model is akin to floating on clouds. We took on a prolonged trip through a national park where we rode on paved roads, mountain trails and flat, rough trails. The frame of the bike, made from hydroformed alpha aluminium, is very light. So, when the rough and sometimes steep trails threw obstacles at us, we could easily navigate the bike over them. The bike handle is uniquely designed to offer superior navigation. The model is designed in such a way so the rider doesn’t have to painfully lean forward, or uncomfortably lean back. The premium specs that come with this bike include Shimano drivetrains, Tektro brakes and wheel sizes to fit the frame. The only con we can think of is that the model isn’t exactly cheap. So budget riders may not be able to enjoy the many perks this model offers. 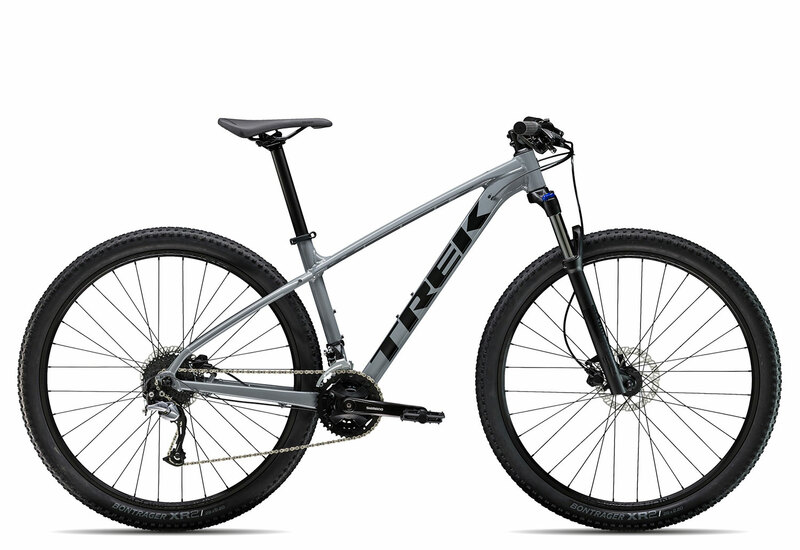 Trek Marlin is a top-notch bike model for those who love mountain biking, cycling outdoors and going on bicycle vacations. This model is designed with comfort and high-performance in mind. Though the bikes that come with this model are lightweight, they are very tough to navigate rough terrain without concern. It’s the perfect fit for those who seek high-end design and performance to match.